Tens of thousands of letters, photos, writing drafts and memoirs from the late Colombian writer are just a click away. His son Rodrigo Garcia takes us on a tour. 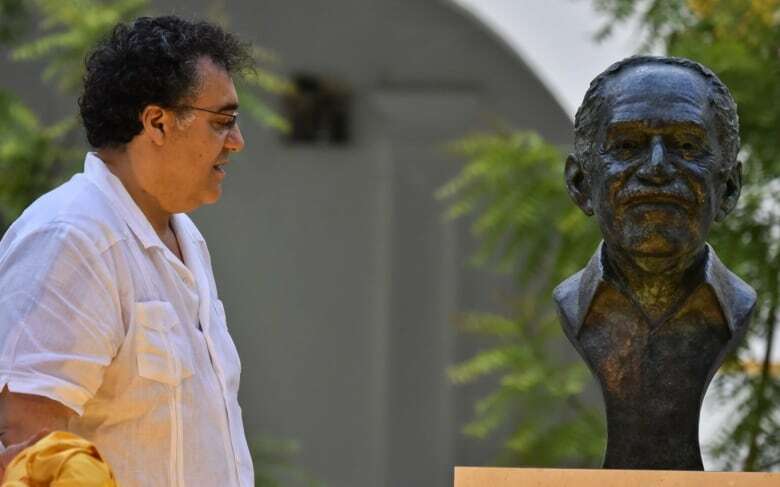 Celebrated for such epic works of magical realism as One Hundred Years of Solitude and Love in the Time of Cholera, Colombian writer and Nobel laureate Gabriel Garcia Marquez was considered one of the most significant authors of the 20th century before his death in 2014. Now, his archives will be available to the public thanks to a new free online digital archive at the University of Texas. 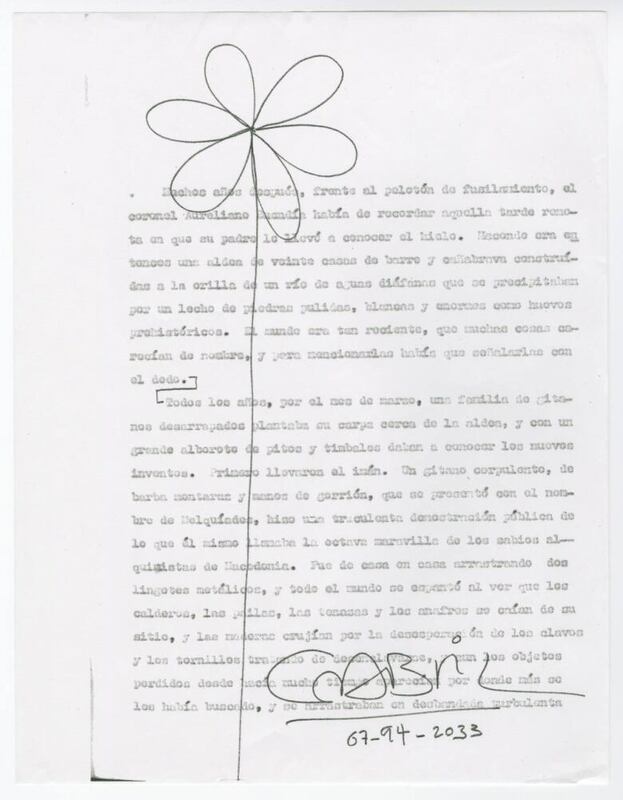 The archive contains thousands of images of Garcia Marquez's writings, scrapbooks, a memoir and photos from the novelist, screenwriter and journalist's lifetime. 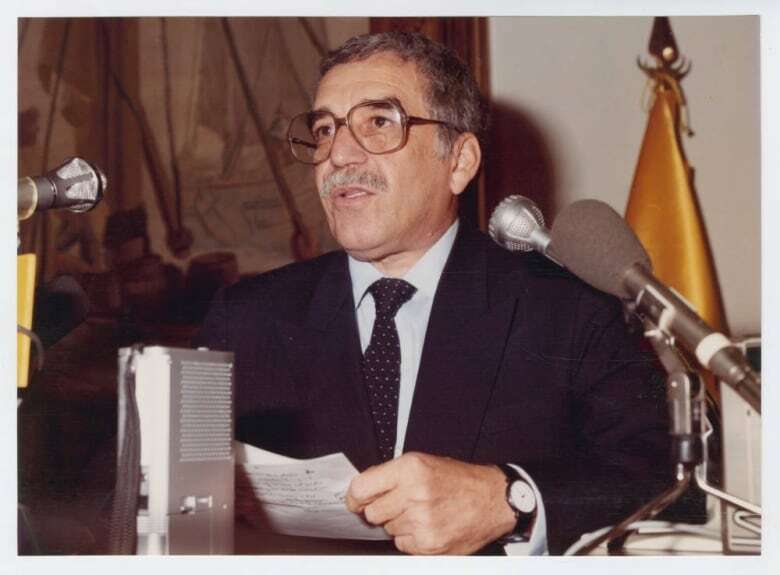 Known affectionately as "Gabo" or "Gabito" throughout Latin America, Garcia Marquez wrote many acclaimed works of non-fiction and short stories over his long career, but became best known for his novels, and also for his fiery criticism of Colombian and foreign politics. 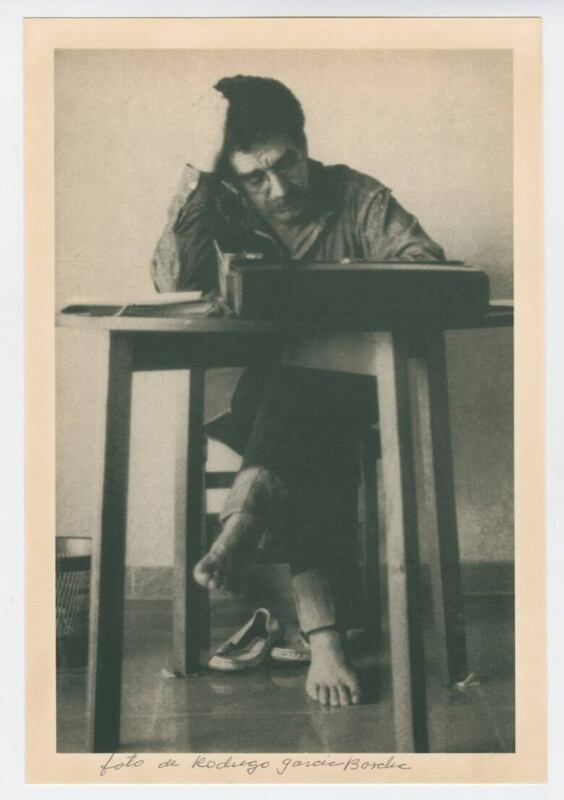 Given his fierce opposition to American imperialism, some were surprised when Garcia Marquez's archive went to the University of Texas two years ago, but now the university's Harry Ransom Center has digitized and made available about half the collection via 27,000 page scans and other images. The archive includes drafts of his famous novels, previously unseen photographs, scrapbooks, and personal items like a collection of his passports. 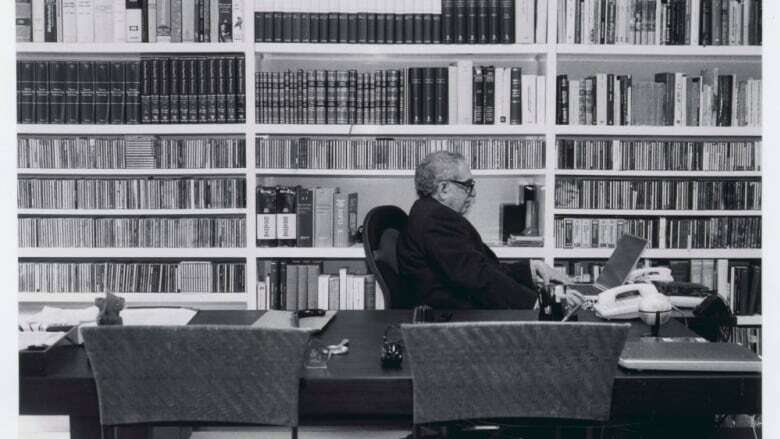 It's a rare intimate glimpse into a literary giant, but Garcia Marquez himself wasn't overly nostalgic about his own work, says his son, writer and filmmaker Rodrigo Garcia. "I think he would have all sorts of feelings [about the archive]," Garcia says. "On the one hand, he was someone who liked to teach and someone who liked to share his process as much as he could with others. I don't think he thought writing could be taught in a systematic way, but you could learn what others know and then try to find your own way. "On the other hand, he was never one to show work in progress or to keep large copies of books in progress, etc. He was very much about showing only the finished product. So I think he would have mixed feelings, but he would also say that life is for the living." 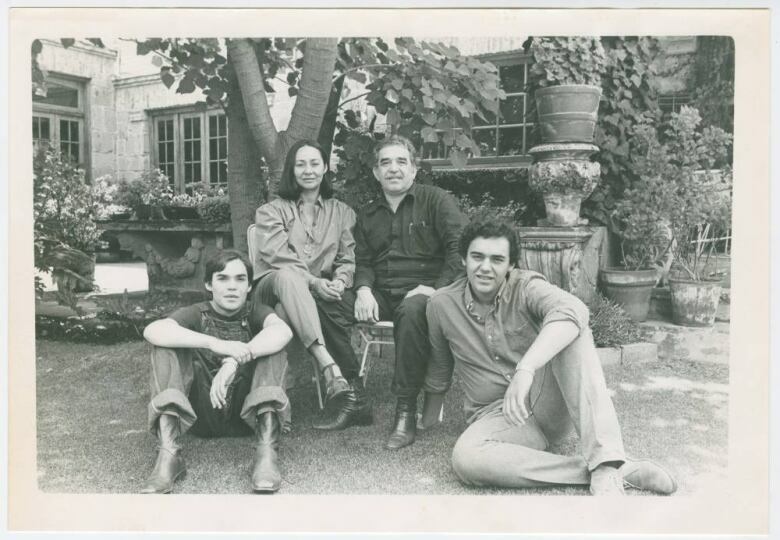 Despite his deep well of work, Garcia Marquez himself showed no inclination toward preserving an archive — but his wife, Mercedes Barcha Pardo, ensured his legacy would live on. "In all truth, he gave no thought to keeping papers, papers living on after him," Garcia explains. "My mother played a big role in keeping these things. My father was really not that interested — not because he didn't want it to be shown, [but] he just thought, you know, what matters is the finished book. So he was not a collector of his own versions or his own drafts of the work." 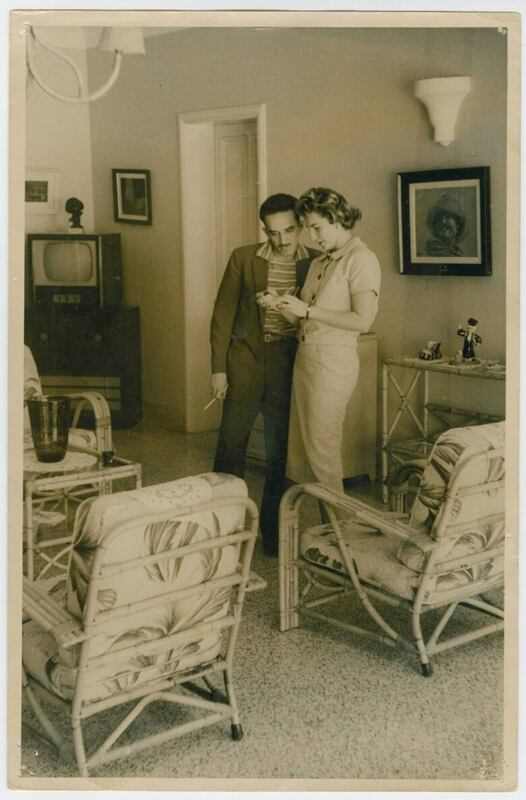 The archive offers a sense of the major role Garcia Marquez played in the 20th century, such as in photos where he's seen with Emma Castro, the sister of late Cuban leader Fidel Castro. Garcia isn't aware of the exact stories behind such images, but isn't surprised to see them, given his father's revolutionary political beliefs, underscored in his 1982 acceptance speech for the Nobel Prize for literature. "He was a left-wing person. He had Communist sympathies when he was very young, and then in his 20s after a visit to the Eastern European countries, some disillusionment with that, but still aligned with socialists, or with very liberal leftist views." What would Garcia Marquez make of today's political era? "I think he would be extraordinarily puzzled by things like the election of Donald Trump," Garcia muses. "He would of course be interested in the individual, because anything human would interest him. Beyond how puzzling at all is, I think he would certainly be preoccupied by the rise of the right, and the extreme right. "It's always been bubbling, certainly even in Europe of course there's always been right-wing fringe groups and there's been neo-Nazis and Nazi sympathizers, or what is now elegantly called the 'alt-right.' I don't think there are more of them, but certainly no one's pretending anymore." Garcia and his brother Gonzalo grew up steeped in their father's artistic circle, so pursuing a creative career himself seemed almost inevitable. "It's so much the environment that we grew up in — everyone we knew was an artist," he recalls. "So we did grow up in a world where few things were as highly regarded as political work, social work, social service, and certainly the creation of a work of art. "'Nothing is better than something well-written' — those were words we heard around the house often." Three years after his father's death, Garcia still misses his inimitable lust for life. "I'm still stunned that life ends, and that he is not around anymore," he admits. "Sometimes I feel that he died last month; sometimes I feel like it was 20 years ago. Obviously he was a man very much in love with life. So of course it is sad that there are chapters he is missing." 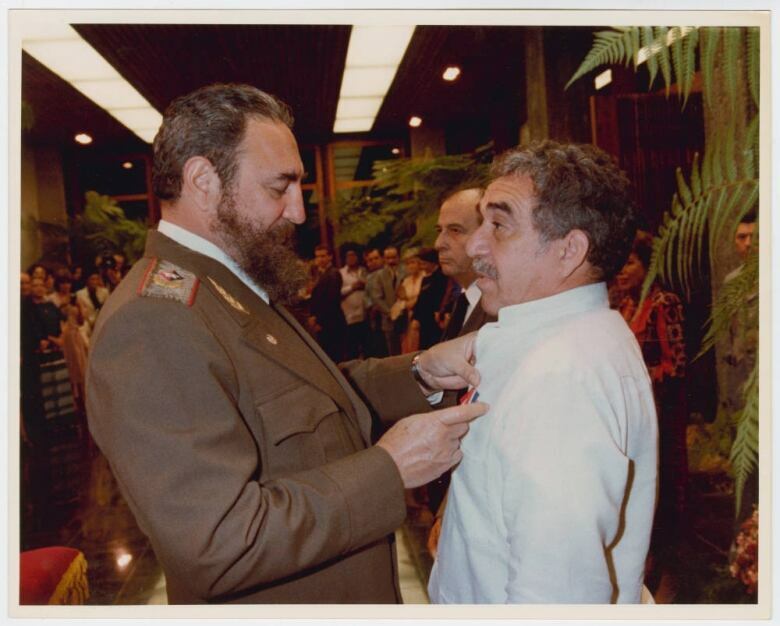 While the archive at the Ransom Centre aims to offer some insight into Garcia Marquez's life and work for the many readers around the world who adored his writing, the author himself would likely be surprised by the fanfare, Garcia says. "My father often thought of his success not as something that he had achieved, but as something that had happened to him," Garcia explains. "So I think the fact that now after his life, there is a big deal made of his work, and where it is at the Ransom Center, I think he would still be amazed that this thing happened to him." To hear the full conversation with Rodrigo Garcia, download our podcast or click the 'Listen' button at the top of this page.